0 Mt. Baker Glacier Vacation Rentals. The Mt. Baker Glacier area is absolutely stunning featuring private rental villas, cabin rentals and vacation homes. You will think your in heaven when you arrive to your rental and see the mountains, forests and rivers that are located in the area. There is year round fun, from summer to winter, when visiting Mt. Baker Glacier, which is about 1.5 hours from the Canadian Border. The snowboarding and skiing is unbelievable as Mt. Baker receives up to 1100 inches of snow per year, which is the world record. So, if you want to enjoy the slopes, I believe the season open end of November and closes sometime in March. You can also enjoy snowmobiling, cross-country skiing and snowshoeing during the winter months. During the summer you can enjoy a wide array of activities as well. You can enjoy a wild adventure on the Nooksack River white water rafting. These is a very intense time, yet very fun, so get your rest you will need it. The fishing in these area is also amazing with all the rivers, lakes and streams, I am sure you will find that perfect fishing hole. Swimming is also available at one of the public parks or you can visit Silver Lake Park. Hiking is also very popular during the summer time. The dining is great, because it takes place in a relaxing atmosphere. The food is really good and you may even be able to enjoy some live music at one of your meals. Mt. Baker Glacier is an amazing place to visit. Rather you are there in the summer or winter, you will have plenty to do and the scenery is will take your breath away! 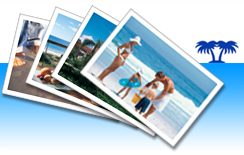 You can book your next vacation right here at www.ivacationonline.com using ourvacation rental management software.